The Cancer Research Institute curates a repository of boilerplate text about shared facilities that faculty can use for their grant proposals. 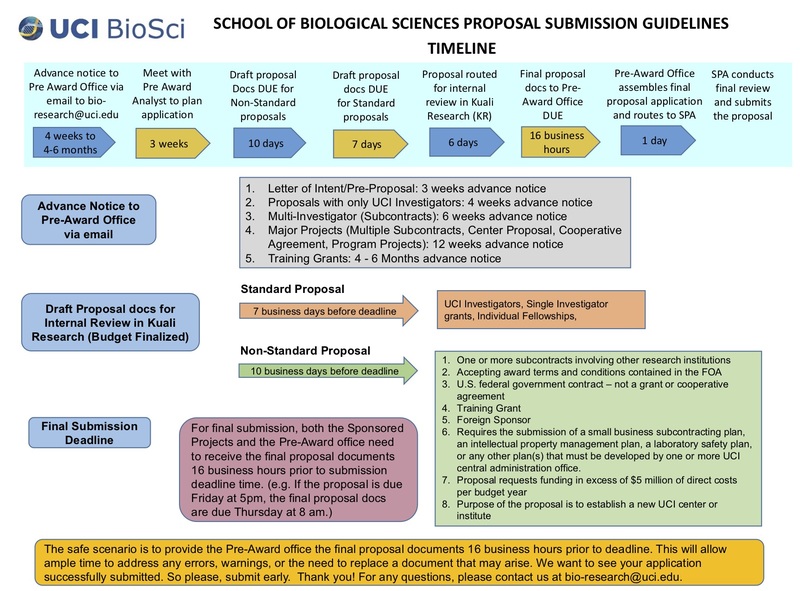 A faculty member with the School of Biological Sciences can request subjecting their grant proposal to peer review before submitting it to an external funding body. Contact Research Development staff to learn about this peer review process. The School of Biological Sciences provides statistical consulting and reviews. Several campus entities solicit applications to support research. 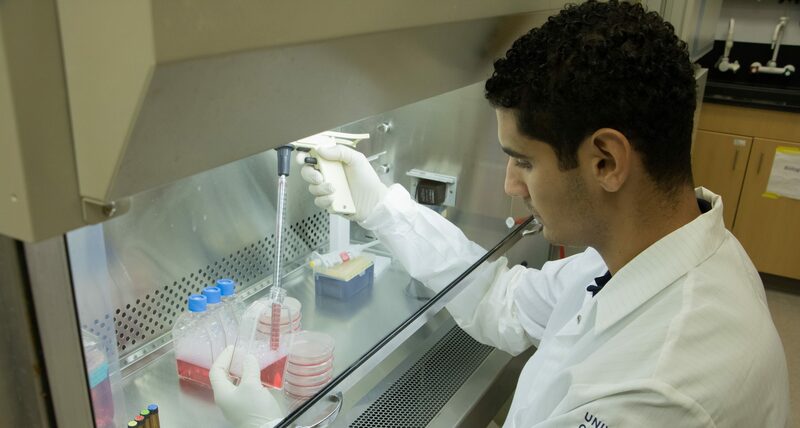 UCI has various entities that help with research development and submission of grants. Office of Research oversees the research enterprise at UCI. Applied Innovation is UCI’s hub for tech transfer and academia-industry partnerships. Foundation Relations provides research development support for submitting research proposals to private foundations and charities. Information about funding opportunity announcements (FOAs) are available at several locations. 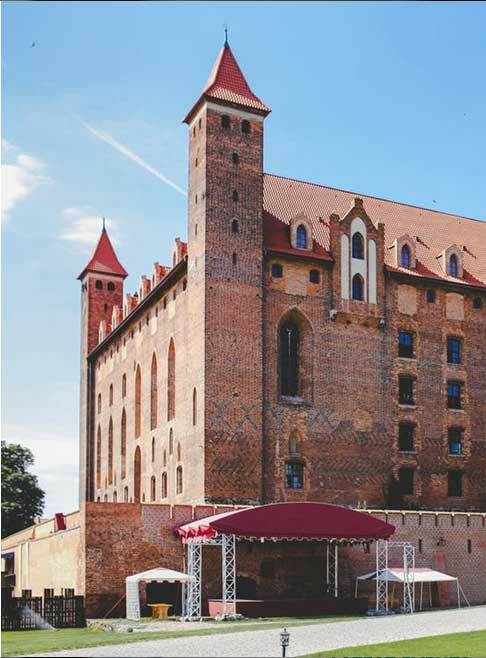 UCI Review posts details about limited competitions for funding opportunities that place a cap on the number of proposals submitted by UCI.